The months of March and April 2012 experienced rather unpredictable weather patterns with abnormally heavy rains inundating various parts of Singapore on many days of the months, and then alternating with hot sunny and humid days. These months usually coincide with the beginning of the butterfly season in SouthEast Asia, and generally where more butterflies are sighted, and in larger numbers. 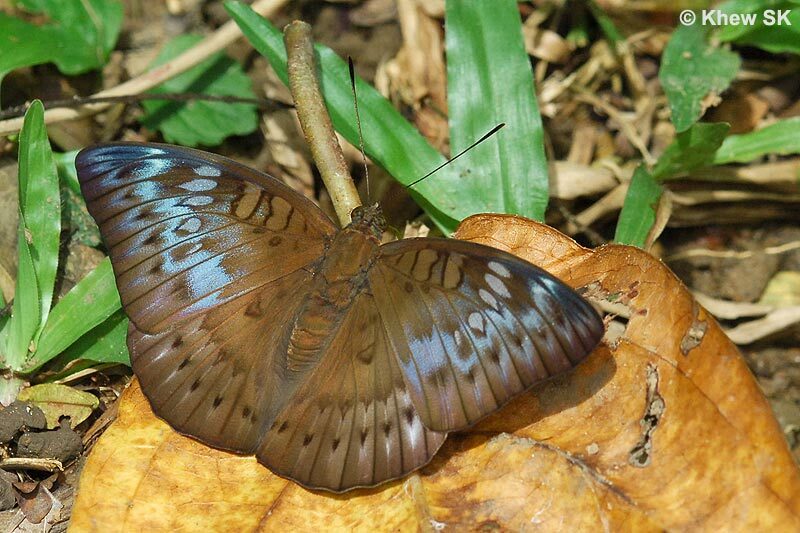 However, the heavy monsoon rains may have somewhat dampened the local butterfly season. 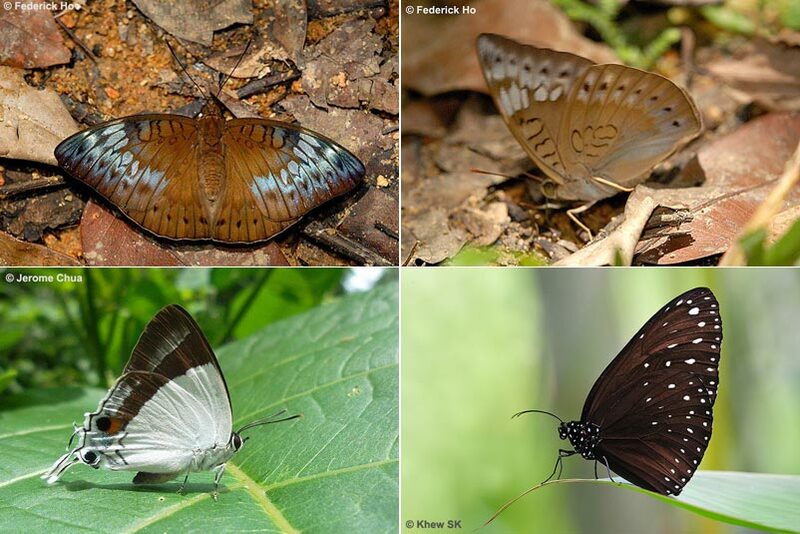 It was therefore surprising that ButterflyCircle members managed to encounter three species that are classified "Very Rare" in the 2010 "A Field Guide to the Butterflies of Singapore" book. The first encounter was by ButterflyCircle member Federick Ho. He was on his weekend butterfly photography outing on 17 Mar 2012 at Upper Peirce Reservoir Park. He was exploring the usual tracks in the forested areas of the nature reserves when he spotted something unusual. The puddling butterfly was foraging amongst some leaf litter on the forest floor. 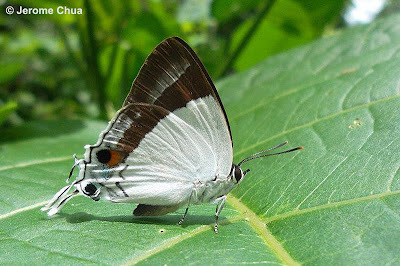 Upon closer examination, and after taking shots of the upper and under sides of the butterfly, it was identified as a White Tipped Baron (Euthalia merta merta). This rare Nymphalinae, particularly the female of this species, was last seen by ButterflyCircle members on 31 Jul 2005! 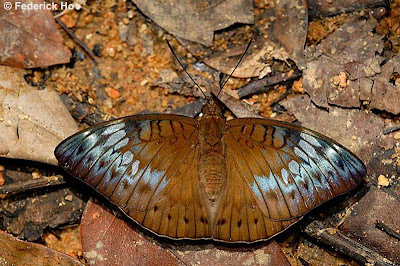 It was then recorded as the 286th species in the Singapore Butterfly Checklist. It was a good record of this very rare forest species after nearly seven years! It is also great that we know that this species continues to thrive and survive in our forests although very rarely spotted. 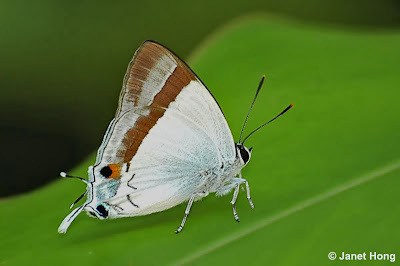 The males of the White Tipped Baron resembles the Malay Baron and the Baron, and has also been seen infrequently, but this is only the 2nd observation of the female after a long absence. 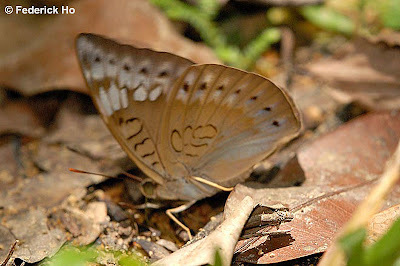 The 2nd rarity to be observed was on the afternoon of 3 April 2012. Teenaged ButterflyCircle member Jerome Chua decided to take a venture into the nearby forested area near his home to photograph butterflies after school. 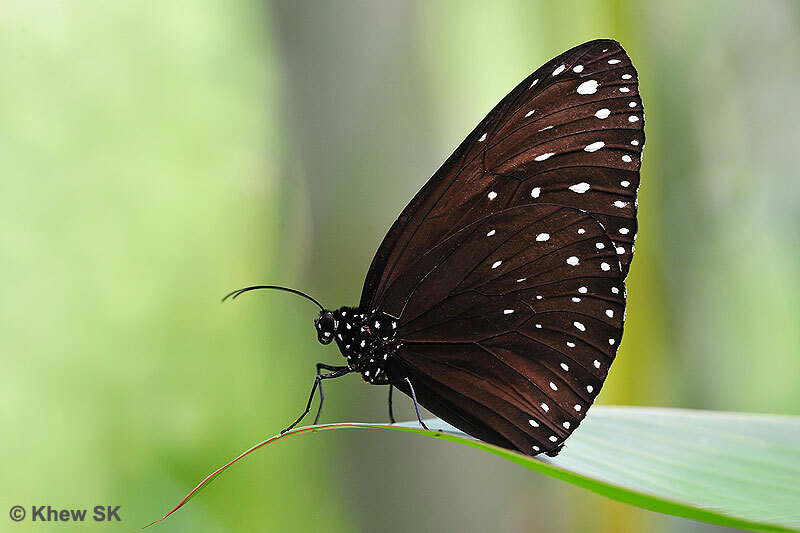 However, the butterfly activity was low, he left and was heading home along the edge of the forests, when he spotted a butterfly that he had not seen before. The butterfly was moderately docile, but wary and skittish of movements around it. After spending nearly an hour tracking and allowing the butterfly to be used to his presence, Jerome managed to take a few shots of the butterfly. It turned out to be a pristine specimen of the very rare Banded Royal (Rachana jalindra burbona). 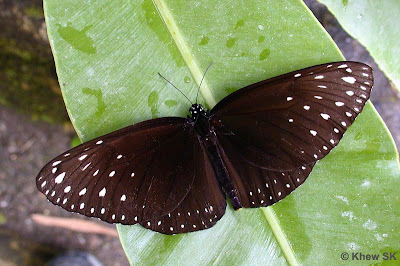 A field shot of this species was first photographed by ButterflyCircle Janet Hong back on 15 Jan 2006 and recorded as species #272 on the Singapore checklist. There were several subsequent encounters of this species in various areas close to the Central Catchment Area. However, the butterfly is still rare and skittish, and not often encountered. The last of the trio of rarities encountered in the past two months, is the large and black Malayan Crow (Euploea camaralzeman malayica). This Crow is described to be the 2nd largest of the genus in Malaysia and Singapore after the King Crow. 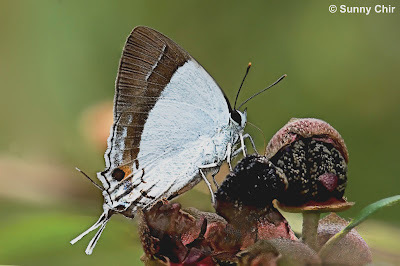 It is very rare, and the first confirmed encounter of this species was a female voucher specimen taken near Upper Peirce Reservoir Park on 22 Feb 1998, during an NParks biodiversity survey. It was feeding at the flowers of a Syzygium tree. Hence it has been over fourteen years since the last reliable observation of this very rare species was made. This recent observation was in the forests of the Dairy Farm Nature Park, where this male was seen resting on a leaf in the shade, just after 10am. It took off quickly as I approached it for a closer look. Repeated searches of the area on subsequent days were in vain, as the species was not seen again. It is always a wonder, how rare species appear in the most unexpected places, then disappear for years before the next individual is seen again. Are the forested areas in Singapore large enough for them to hide for so long? Or are they migratory, and appear seasonally? Or perhaps the people who encounter them were just fortunate to be at the right place at the right time? We'll never know for sure. But that's what makes butterfly-watching interesting and full of surprises. Who knows, just round the corner, at the next flowering bush, is a butterfly species that is new to Singapore, waiting to be discovered!